I am currently in Qatar, the richest country in the world. Think about the challenge of becoming the richest country in the world only in the last couple of decades. What do you do? How do you handle the transition from being desert people and pearl fishers to…this? This country is currently re-inventing itself with extraordinary drive, ambition, and progressive thinking. It is the home of Al Jazeera, it conducts a very active foreign policy, it is striving to create an open society even as it maintains traditional dress and customs, and it is also collecting a lot of art and opening new museums. 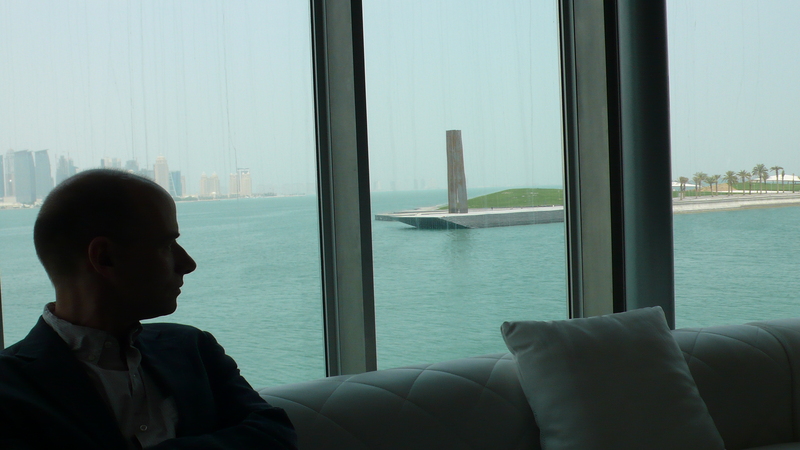 Today I was in the Museum of Islamic Art in Doha. This I.M. Pei building opened in 2008, so it is very significant as the first of the big new modern museums to be opened in the Gulf States. You can sit in the cafe in the central space and have a view of the city and the newly installed Serra sculpture. I was amazed at the collection. 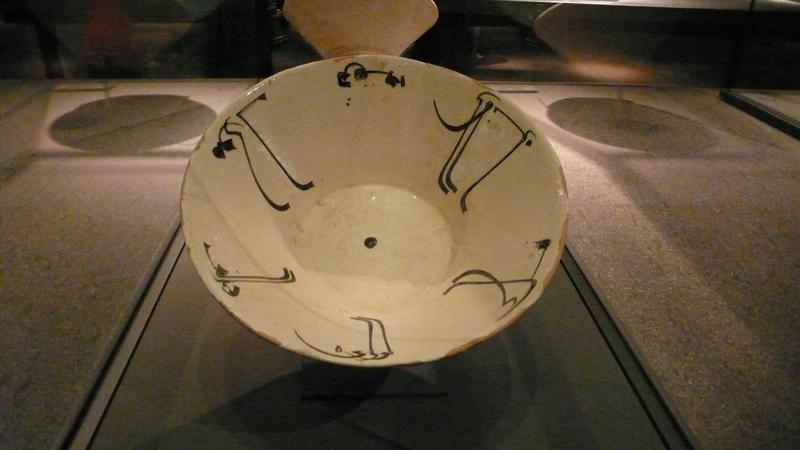 But as I walked around, stunned by the early Persian blue and white slipware bowls and the Mamluk brassware, I started to wonder: why Museum of Islamic Art? A bowl for domestic use with Arabic script is not “Islamic.” A Turkish animal carpet is not “Islamic.” A prayer carpet, yes, is Islamic. A Quran is. But just because something is made in an area where the majority of the population is muslim, does that make it “Islamic?” Do we call all art made in western Europe between 325 and 1525 “Christian?” No. We talk of Anglo Saxon art, or Romanesque art, or Frankish art, or Gothic. And then, when it is altarpieces and icons and reliquaries, we talk about Church art, or devotional art, or sacred art. It seems to me retrograde and parochial to identify all art of a whole period and vast geographic range as “Christian.” To do so implies definitional opposition: it is Christian, not Jewish, Christian, not Muslim. It is to say that we identify ourselves by our religion. But in fact that really isn’t the case, most of the time. People identified much more readily by their city, or by their region, or by their profession, or by language, than by their religion. And the same, I am sure, goes for those areas where the majority of the population was and is muslim. The Institut du Monde Arabe in Paris has refashioned itself in order to reflect the new awareness that Arabs and the Arab identity pre-existed the rise of Islam. Read all about it here. ← Doesn’t Gothic look pretty “Islamic”?